Your holiday to Seychelles may raise an immediate question – which island to visit? The ideal solution to this dilemma is to visit several islands – something the experienced team at Just Seychelles are experts at helping you do. We'll gladly offer our advice to tailor an itinerary that matches your tastes and budget. Also see the Seychelles e-travel guide. The quickest way to see more of Seychelles is to travel by air, experiencing memorable aerial views along the way. Using flights, it's easy to holiday on two islands in a week, giving you an impressive range of Seychelles experiences. 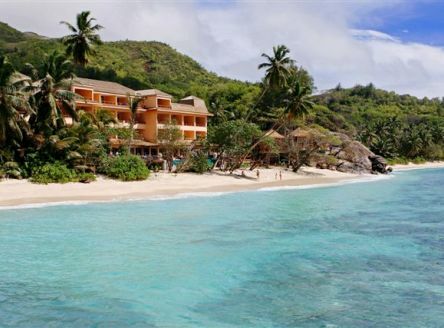 See the 3 main islands of Seychelles with stays at some delightful hotels! 10 nights now from £1779pp! Staying at DoubleTree by Hilton Seychelles Allamanda Resort & Spa on Mahe and Hotel L'Archipel on Praslin, with 2 nights at Bird Island - the escapists paradise! 8 nights now from £2,999pp. Discover 3 stunning islands of the Seychelles with time to explore and relax at some delightful hotels! 14 nights now from £2599pp! Combining the unique Bird Island, tiny Cerf Island (close to Mahé) and Praslin, home of the famous Vallee de Mai and the Coco de Mer nut! Combining the stunning coral atoll of Denis island with the mountainous island of Silhouette, where you will stay at Hilton Labriz Resort & Spa. 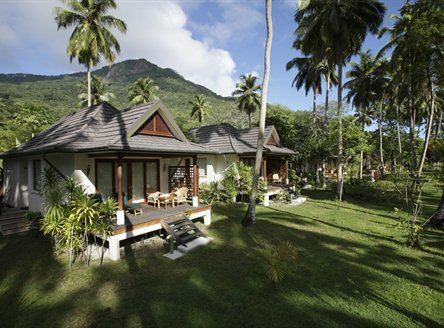 Combining Praslin & La Digue, with stays at the two lovely and individual 'Le Domaine' properties! Twin-Island tour combining a stay at Hilton Seychelles Labriz Resort & Spa on the majestic granite island of Silhouette and the fabulous Hilton Seychelles Northolme Resort & Spa on Mahé Island. Luxurious stays at Banyan Tree Seychelles on Mahé island, Hilton Seychelles Labriz Resort & Spa on Silhouette Island & Raffles Praslin Seychelles. Alternatively, why not take a Seychelles Cruise on either a crewed sailing yacht/schooner, or a luxury catamaran? Various cruises are available; a 7-night catamaran cruise is from £1549pp Full Board, including flights from London, and all transfers, incl inter-island flights. Just Seychelles offers cruise itineraries that offer the best of Seychelles, including tailor-made 'Cruise & Stay' options. These typically include a stay in the hotel of your choice plus onboard accommodation on a yacht. Your itinerary may, for example, consist of three nights on a catamaran sailing around islands close to Praslin and La Digue, stopping off at Anse Lazio, voted one of the world's most stunning beaches, then visiting the beautiful conservation island of Cousine, before dropping anchor at Coco Island for excellent snorkelling. If you are planning an island hopping holiday, please bear in mind that all inter-island flights operate from Mahé; this means that if flying from Praslin to Bird, for example, you must make a connection through Mahé. Praslin, Bird and Denis Islands are served daily from Mahé; La Digue is accessible via a frequent daily ferry service from Praslin, while Cerf, Sainte Anne and Enchanted Islands are reached via the hotel's own boats from Mahé which we will arrange. The islands of Cousine, North and Fregate are served by chartered helicopter. Most inter-island flights are operated by small aircraft, often with around 20 seats. 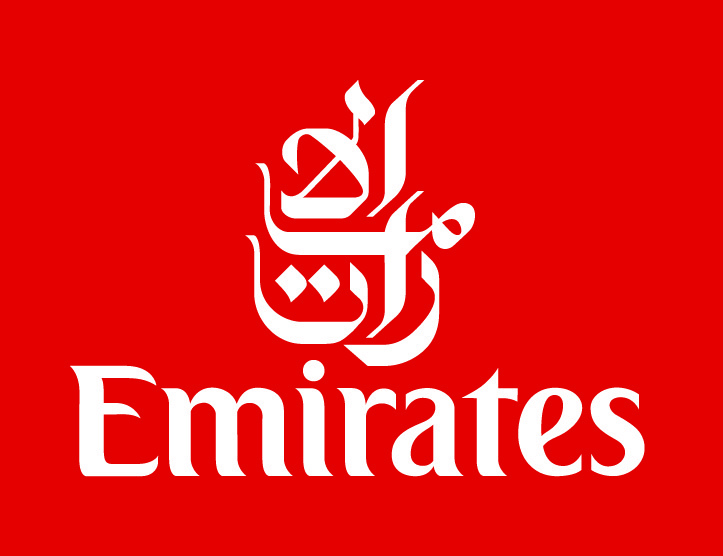 Luggage space is restricted, and the baggage allowance is restricted to 10kgs or 15kgs per person on some flights. Excess baggage may, however, be left at the main airport on Mahé. We therefore recommend you travel light, particularly to the smaller outlying islands. Timetables can also vary due to weather conditions. Last, but not least, it may also be necessary to spend the first and/or last night of your holiday on Mahé Island to allow for international flight connections. Whatever your preferred Seychelles island-hopping itinerary, please call our knowledgeable team and allow us to tailor the ideal trip. Island-hopping is perfect for a Seychelles wedding or a honeymoon in Seychelles. You could even marry on one island and then honeymoon of one of the other Seychelles islands.